Roulette is the game best enjoyed in a casino but since the time the online versions came out, gamblers are simply glued to their computers. Not everyone prefers these online variants because they usually have wheels made from software. 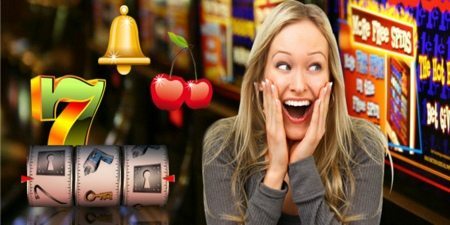 Thanks to Live Dealer Roulette that changed the way people look at online casino Roulette. In this UK live dealer online Roulette variant you can play with a real wheel and a human dealer. Only thing is the setup is in a studio with multiple cameras so you can view the game from your preferred angle. There is a chat feature if you want to interact with the dealer about the game or anything personal as well. The betting range here begins with £1 and goes up to £500 each position on the table. Enjoy and let our hard work turn into a smile on that lovely face of yours. Choose From A Wide Variety Of Online UK Live Dealer Online Roulette - Login Now! This amazing UK live dealer online Roulette game was created by NetEnt, a leading developer of online casino games. They have over hundred games from various different categories such as slots, table games, and live dealer games. All of them are playable on Android as well as iOS mobile devices and computer systems. This UK live dealer online Roulette is played on a European wheel that consists of numbers from 1 to 36 on alternate black and red pockets. The game has a single zero placed in a green colored pocket on the wheel. The live dealer will prompt you to place your bets and also announces the results of the game. You can choose a single number for a straight win or multiple numbers for split, corner, street or line wins. There are positions such as orphelins, voisins, tiers and neighbors of zero where you can place your bets too. Inside Bets Payout: The payout on inside bets in this UK live dealer online Roulette game is 35 to 1 which is the highest for a straight win. The split gives you 17x on your bet while the street, corner, and line pay 11x, 8x and 5x respectively. Outside Betting: To help you win more frequently, this game has some areas where you can win with a probability of up to 50%. These are the odd-even, column, high-low, a dozen and red-black positions. The payout here is 2:1 for column and dozen while the rest pays 1:1. But they keep you in a winning mode and help you make a profit after some time. This UK live dealer online Roulette has amazing graphics that make you feel you are in a casino. The live dealer is the speciality of this variant where you can kill your loneliness too.